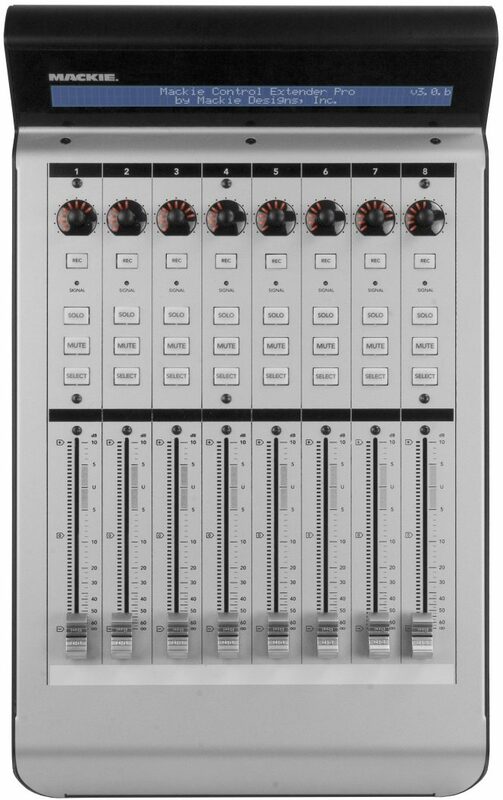 The Mackie Control Extender Pro is an eight-channel control surface extension for MCU Pro. Slightly narrower than a MCU Pro, the Extender Pro has all the channel strip features of the MCU Pro without the master section. 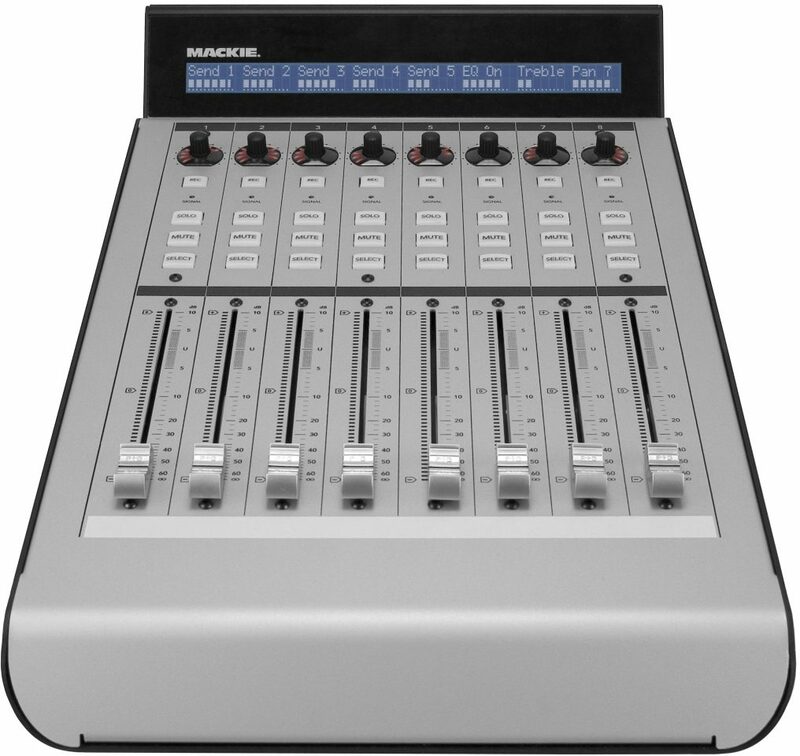 Depending on your music production software support, multiple Extender units can be used together with a MCU Pro to emulate a large-scale control surface with as many faders and pots as desired. Connect just a single USB cable and you are up and running with MCU Pro. And the built-in MIDI interfaces lets you add up to three MCU XT Pros without the need for external hardware. Or use the MIDI I/O to hook up your classic MIDI gear and work on your ELO covers. Mackie Control Pro Series controllers are the perfect match for your music production software. Thanks to their unique proprietary communication protocol, Mackie Control Pro Series controllers know just how to sweet-talk your software, and your software knows just how to respond. You get deep, intuitive control of mix and plug-in parameters, real-time visual feedback, and setup is plug and play -- no MIDI mapping head games! 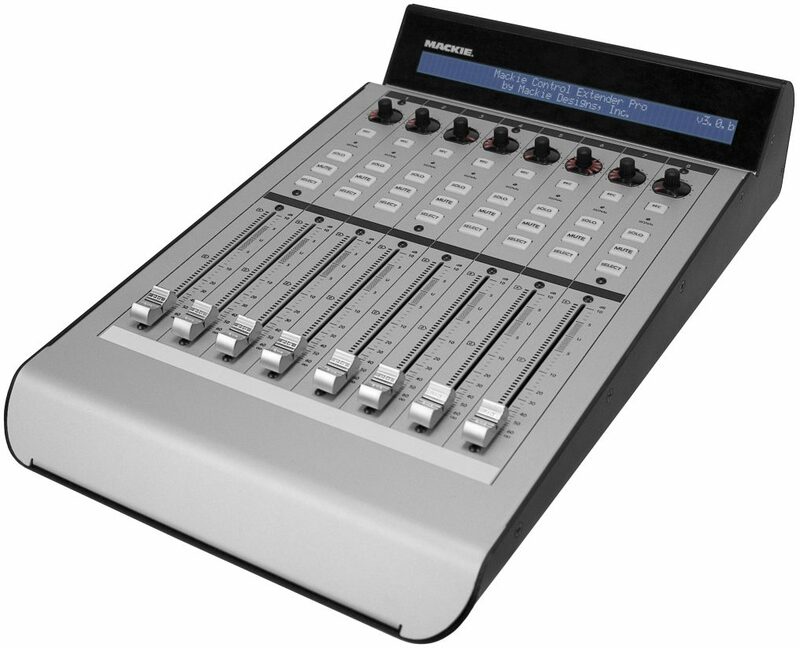 Mackie Control Pro Series controllers make it easy to grow the relationship, too. The Universal Pro control surface, Extender Pro control surface extension and C4 Pro plug-in and virtual instrument controller all seamlessly integrate, so you can put control of all your software parameters right at your fingertips. Simply put, Mackie Control Pro Series controllers give your music production software what it needs to feel complete. zZounds is an authorized dealer of Mackie products. "More than what it seems!" Overall: I was quite surprised... all this was written-up as was a MIDI controller extension - not much else. After I got it, I soon realized that, beyond a direct connection to the computer (via USB), this has all the channel controls the master unit has. 1 of 1 people (100%) found this review helpful. Did you?